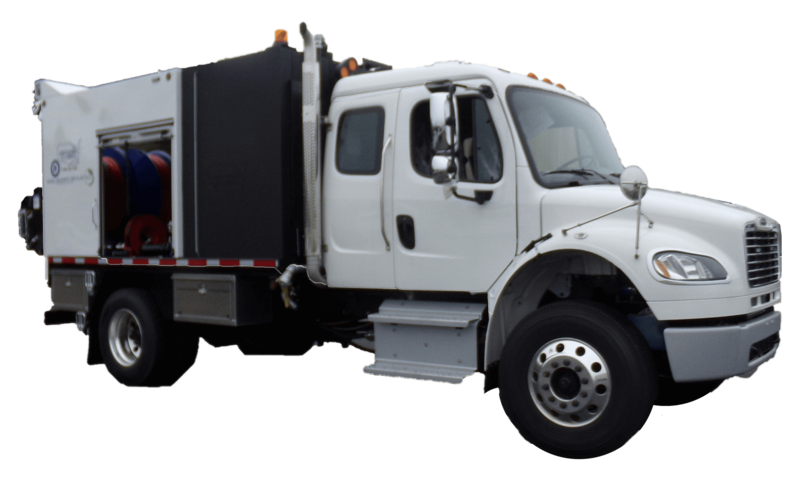 Hose Size 1/2" - 1"
The Model 800-HPR ECO truck jet is the gold standard by which other competitors’ trucks are judged. 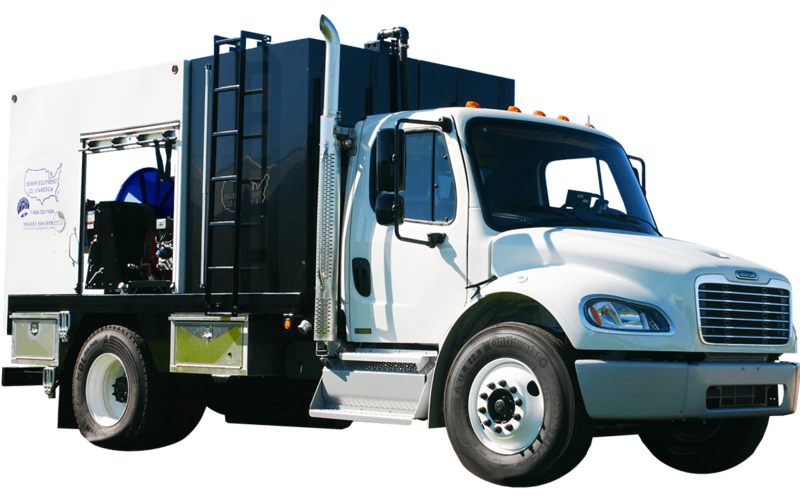 While this truck is often imitated, it is never duplicated. 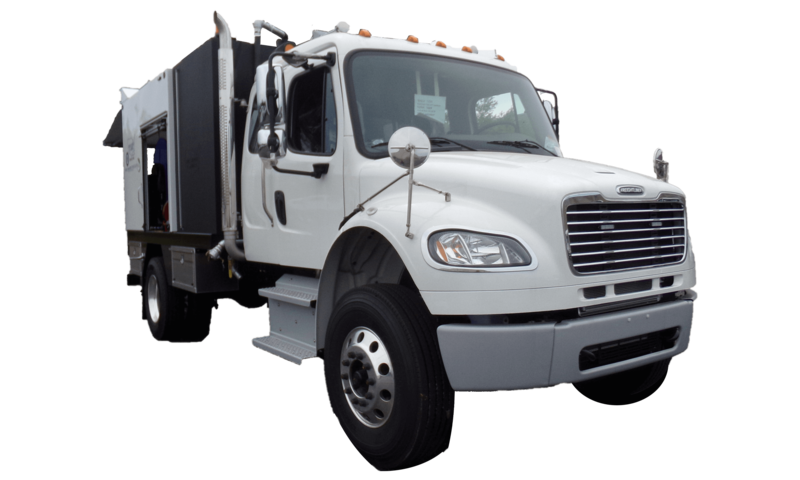 As a result, incorporating a host of unique design features makes it the most productive, environmentally-friendly and safest truck-mounted jetter on the market today. 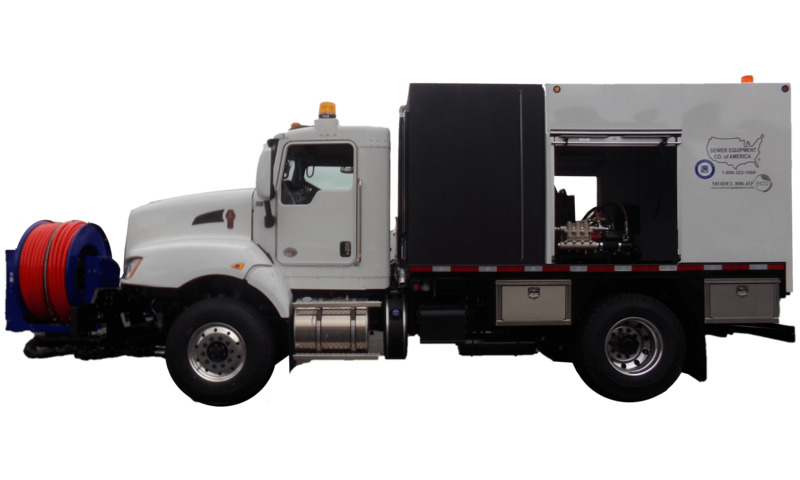 With a number of configurations available, the single axle package with 1500 gallons of on-board water provides operators with a truck that is easy-to-maneuver while maximizing cleaning footage between water refills. If more is better, our trademarked Duraprolene water tanks are offered in 2000, 3000 and 4500 gallon capacities. 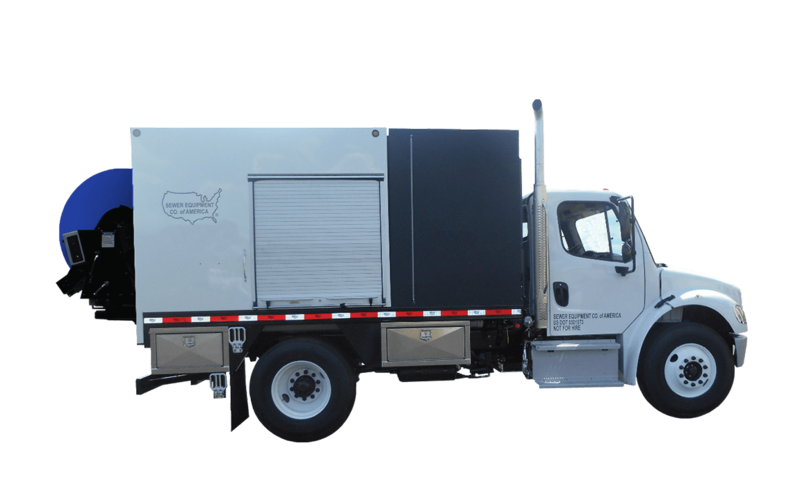 The unique construction of the Duraprolene water tank includes a fully baffled interior, eliminating the dangerous surging of water when stopping or turning with thousands of pounds of water on-board. 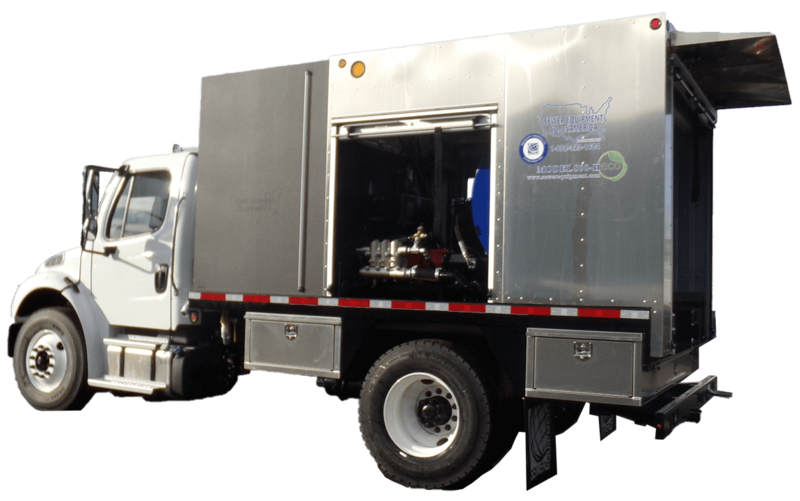 The climate controlled environmental chamber with 80,000 BTU heater keeps the pump, rear hose reel and plumbing warm while working in sub-freezing temperatures. 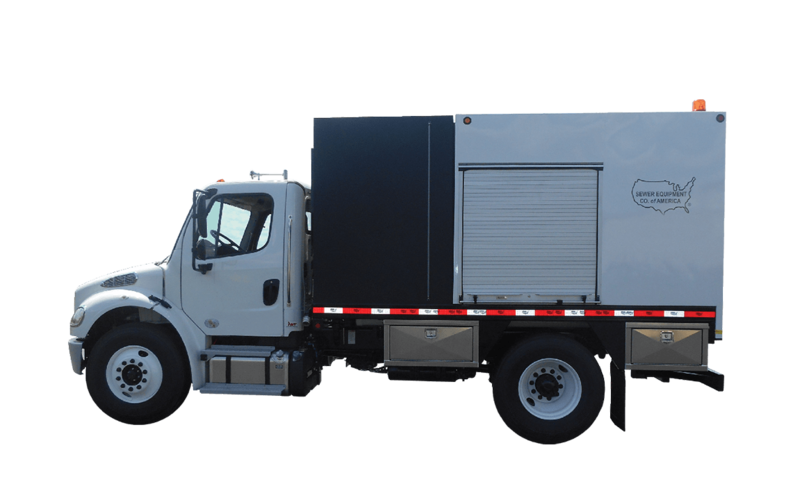 Our Model 800-HPR ECO will help you get the job done right, the first time. 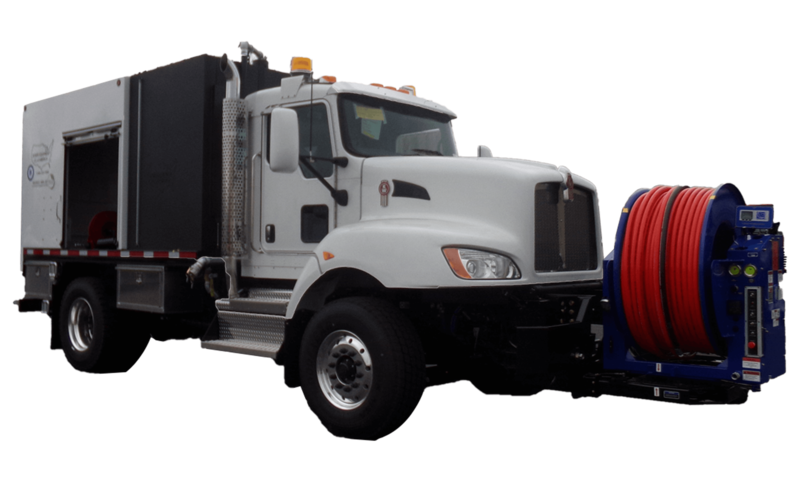 For increased operator safety and efficiency, an extendable, rotating hose reel allows operators to position themselves in order to minimize exposure to traffic and other potential hazards. 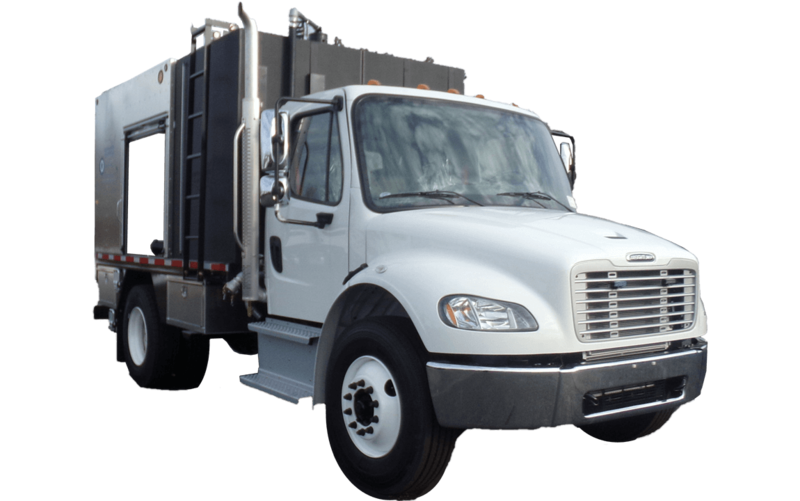 The addition of our wireless control pendant allows gives operators full control of jetting operations from up to 3500 feet away from the truck. 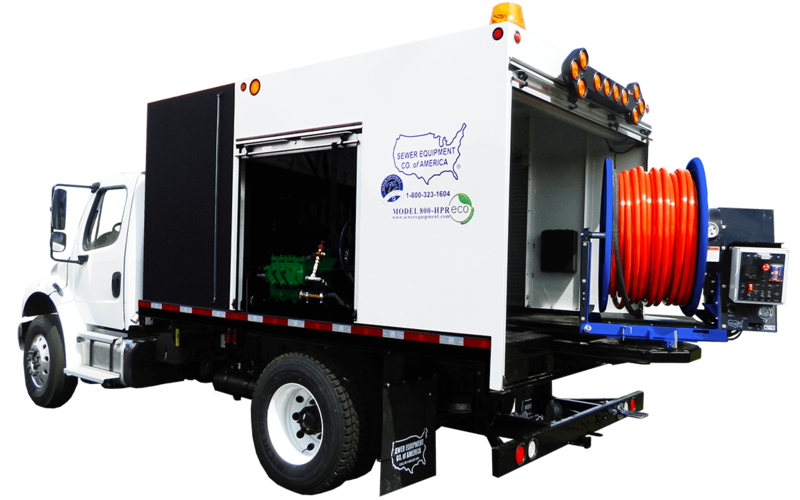 The Model 800-HPRTV combines the same high pressure sewer cleaning power as the Model 800-HPR, with the technology of color television inspection. 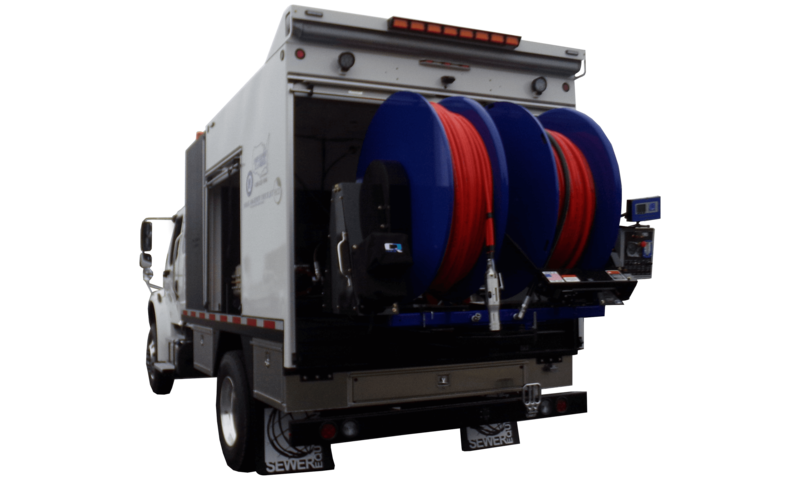 This truck allows any city, contractor or agency to clean and televise pipe utilizing one truck, eliminating the need for multiple pieces of equipment and multiple crews, saving both time and money. 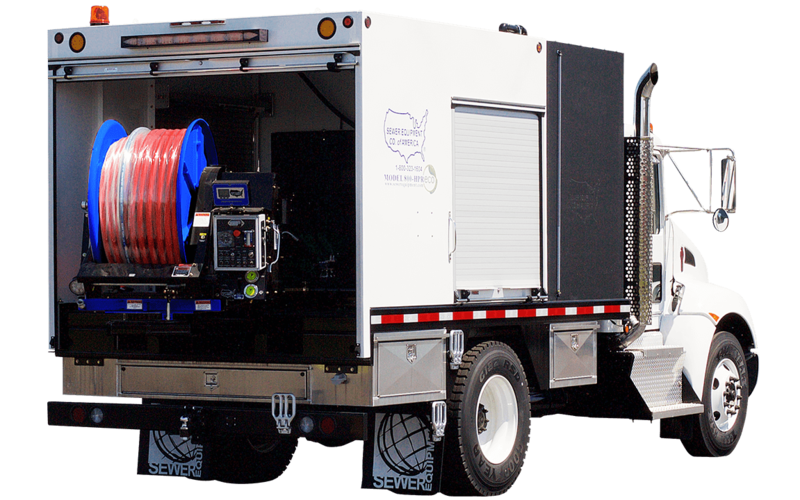 The 800-HPRTV is equipped with the innovative and unique “Umbilical Cord”* – this single construction cord houses both high pressure sewer hose and a video communications cable. This allows the jet camera to propel itself through the pipe using high pressure water and “color televise” as it travels. At street level, the operator views the sewer pipe on a TV monitor as the jet camera travels from manhole to manhole, overall leaving no guess work as to what is happening in the pipe below. 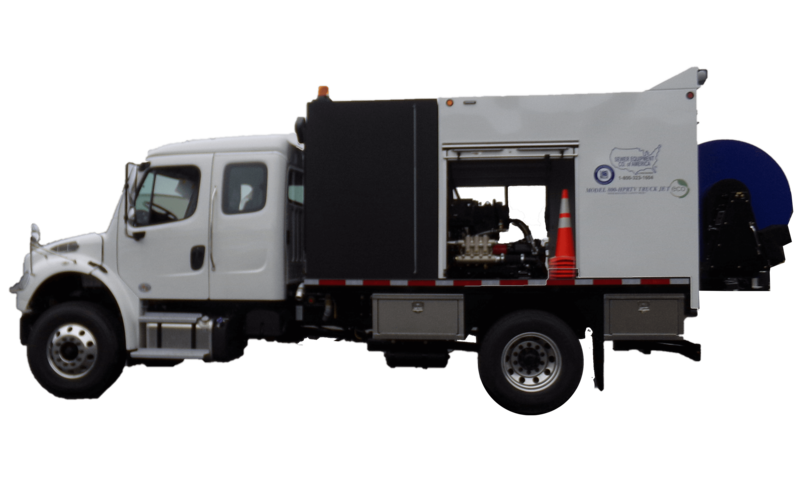 This Model 800-HPRTV truck jet comes equipped with a Cues Camera Jet Pod System. 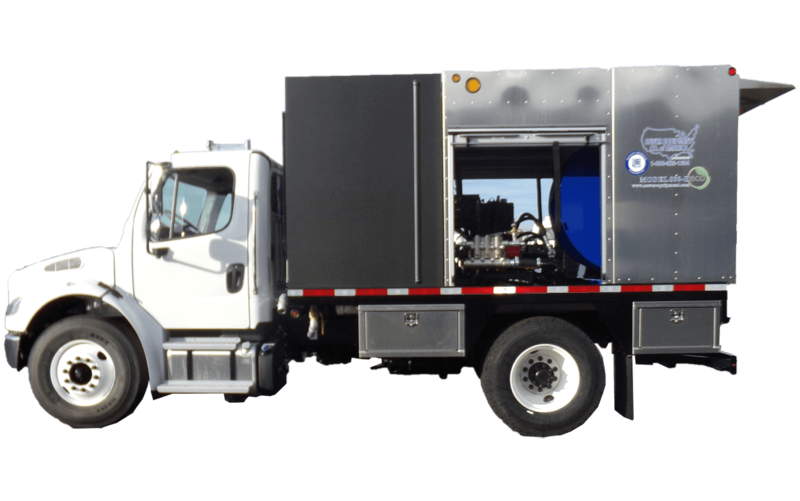 This system provides the ability to inspect the pipeline while performing the cleaning process to determine if the pipe needs further cleaning, inspection, repair or evaluation. The camera provides up-close imaging of pipe walls and surfaces to locate pipe deformations and irregularities, such as broken, collapsed and cracked pipes, leaking joints and more. 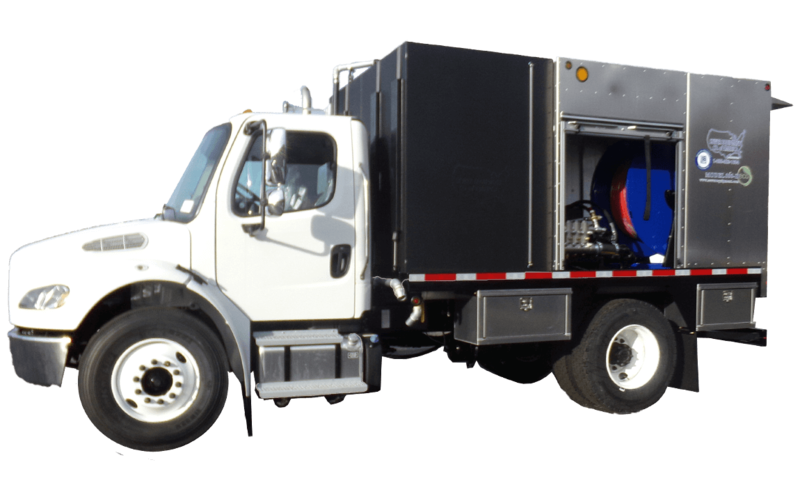 The Model 800-A Jetter Truck comes complete with all the great features and standard equipment of any Model 800 sewer cleaner and includes an auxiliary engine and fixed hose reel. 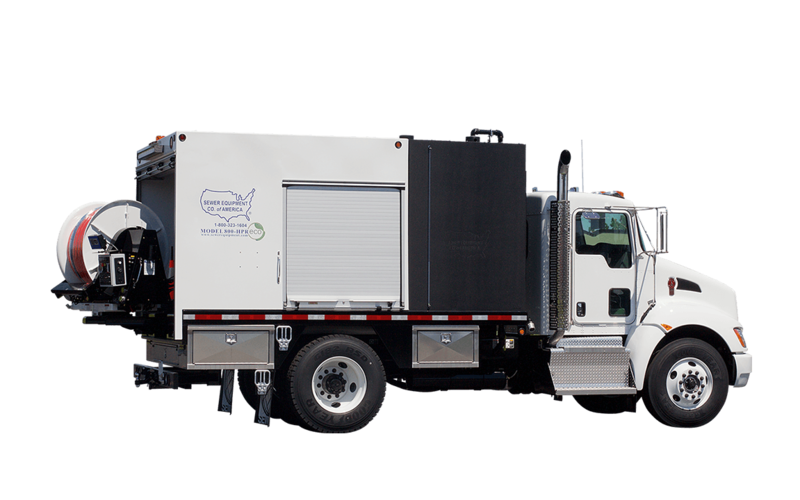 The 800-APR provides heavy duty cleaning and maintenance of sanitary and storm sewers, combining all the same great features of the Model-800 HPR truck jet in addition to an auxiliary engine and rotating hose reel. 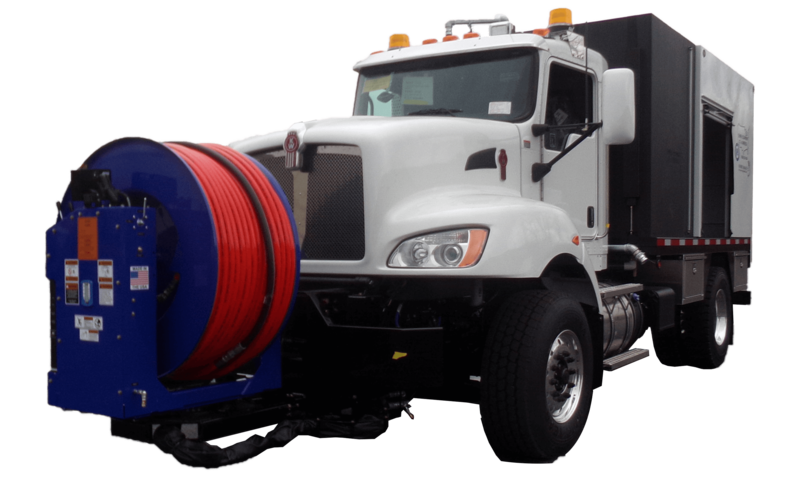 Its rotating hose reel allows for increased safety and efficiency for the operators, with the ability to to position themselves with minimal exposure to traffic or other hazards, in addition to an increased water flow (up to 100 GPM) maximizes removal of heavy debris deposits and improves abilities of hydraulic root cutters, grease cutters and other blockage breaking tools. 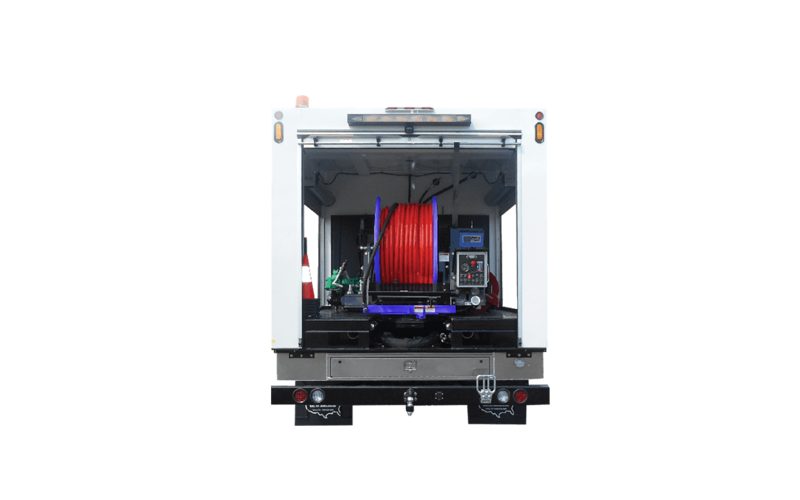 With many of the same great features and benefits as the Model 800-HPR, the 800-H is the industry standard for rear mounted fixed reel jetters. 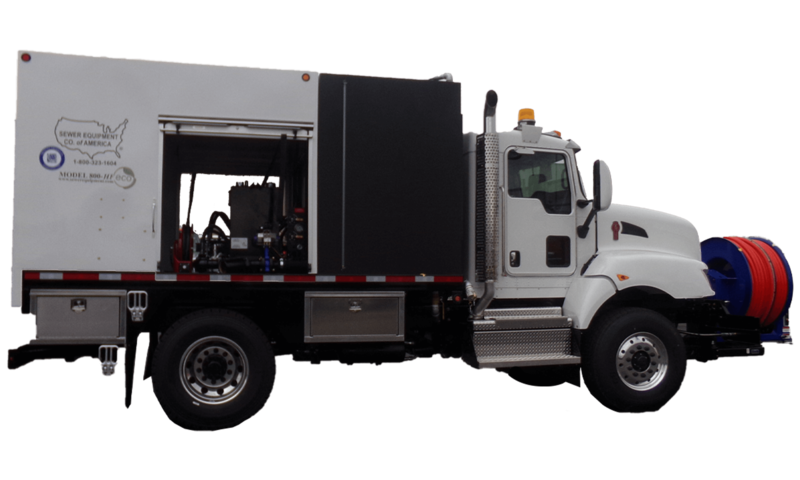 The 800-H features hydrostatic drive, many pump options, and world class electronics. What’s more, all these features are protected in a heated one-piece shrouded compartment. 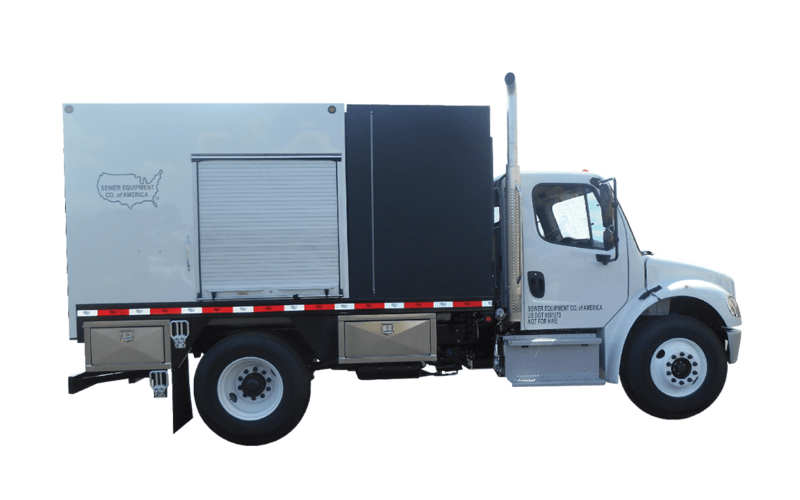 Sewer Equipment’s 800-H truck jet features the industry’s only standard 3/4″ thick, 1500 gallon trademarked Duraprolene water tank. 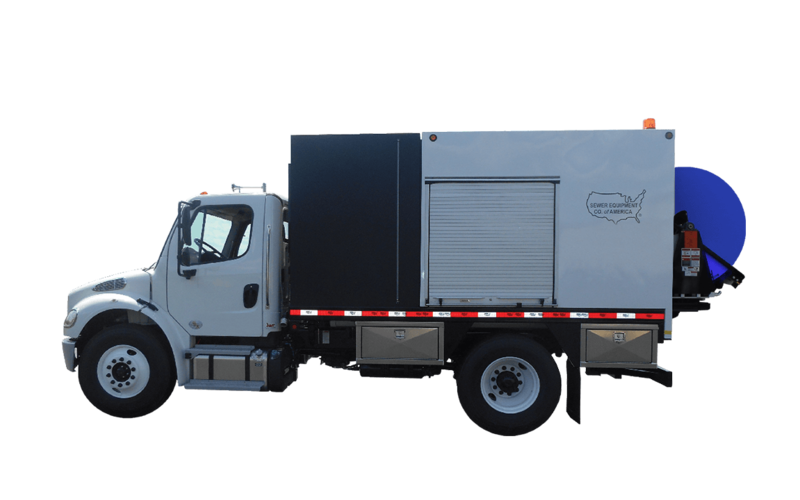 This tank offers one-of a kind repairability and increased operator safety due to internal baffling eliminating the dangerous surging of water when stopping or turning with water on-board. 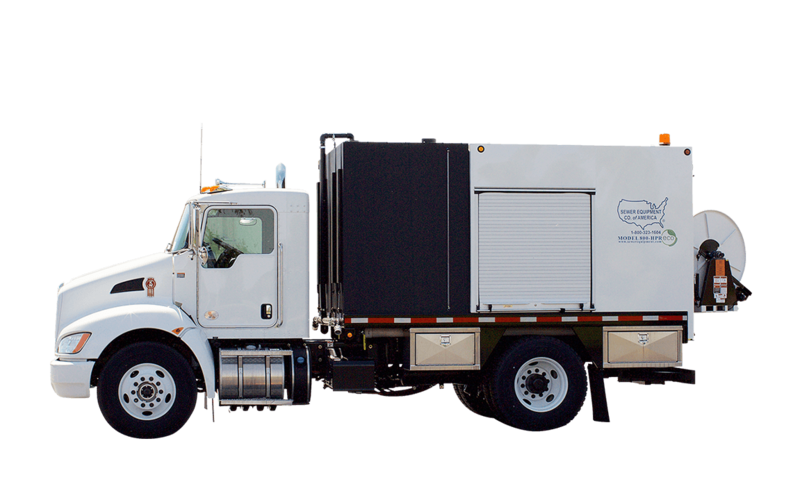 The Model 800-HF comes complete with all the great features and standard equipment of the Model 800-HPR truck jetter, while utilizing a hydrostatic drive and front-mounted hose reel.